We were delighted to welcome to our meeting on 19 February 2019, the Deputy Mayor of Croydon, Councillor Humayun Kabir and Deputy Mayoress Rahena Chowdhury Kabir. They are pictured with President Loraine Davis and Vice President Chris Dighton. Councillor Kabir talked about the services being provided by the Council and the attempts to make them more user friendly. This included the 'Gateway Services' initiative where all the officers are on the same floor of the Town Hall to ensure greater coordination and the establishment of 'District Centres' in North Croydon, New Addington and Coulsdon to ensure the local people have better and closer access to their required service. The Gateway service, established in 2015, brought together housing needs assessment, emergency accommodation, welfare rights, financial support, and employment and training services. The approach sought to provide an integrated ‘end-to-end’ journey through council services for households at risk of homelessness or impacted by the welfare reforms. The Deputy Mayor and Mayoress will be elected Mayor and Mayoress in May and Councillor Kabir talked about the local charities he hopes to support. We look forward to inviting them back to our Club in their roles as Mayor and Mayoress of the London Borough of Croydon. Councillor Kabir moved to Croydon in 1978 and became involved in various businesses to support his native Bangladeshi community. 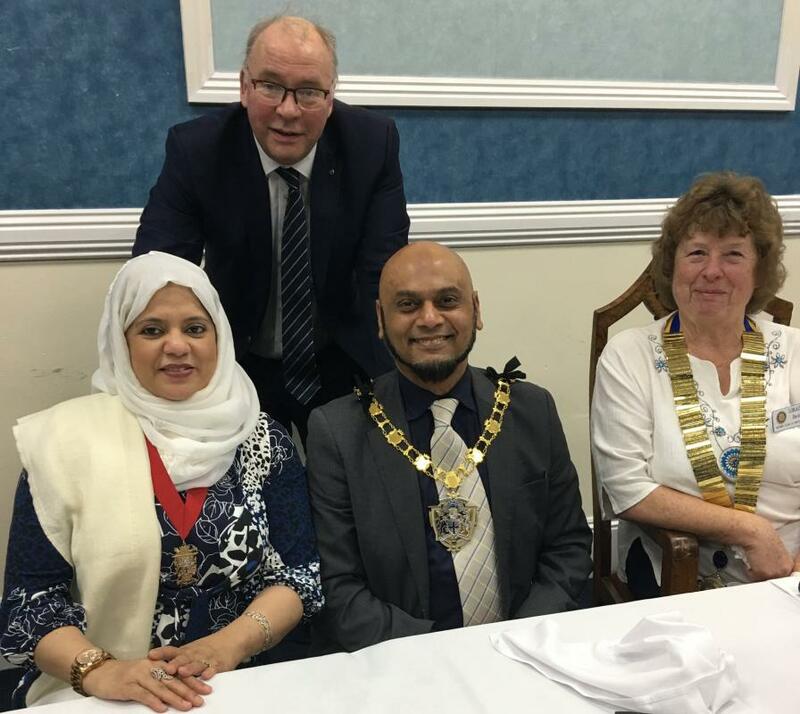 He was voted to the position of Chair of the Surrey Bangladeshi Welfare Association, as well as to the office of President of Bangladesh Welfare Association of Croydon. In his daily profession, Councillor Kabir was appointed as a family advisor in 1992 and has managed a team to provide adequate parenting support in Tower Hamlets Council. He is also a former Deputy Cabinet Member for both Finance & Treasury and Economy & Employment. Councillor Kabir was a founder member of the Asian Resources Centre of Croydon (ARCC) and served the organisation until he became a Councillor in 2010. He is continuing his services as a Finance Director in the Management Committee of Bensham Manor Community Association.